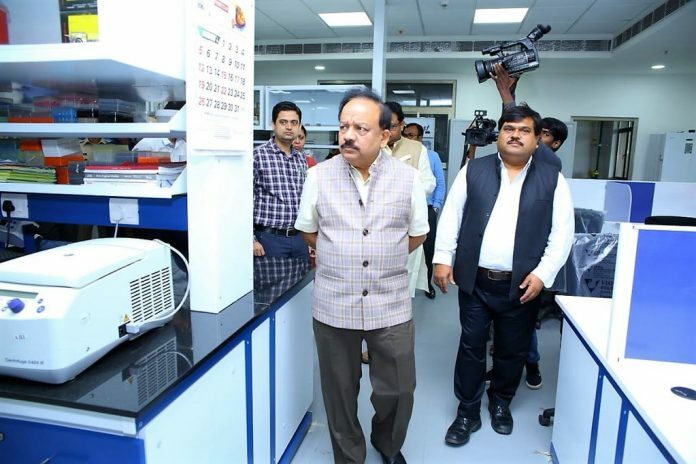 Union Science and Technology Minister, Dr Harsh Vardhan taking a tour of lab facilities at NIAB, Hyderabad. Hyderabad: The National Institute of Animal Biotechnology (NIAB) is mandated to conduct research which would lead to the development of novel vaccines, diagnostics and improved therapeutic molecules for farm animals focusing broadly on infectious diseases, reproductive biotechnology, animal genetics and other areas with respect to livestock and poultry. In a major boost to its activities, the Union Minister for Science and Technology, Dr Harsh Vardhan inaugurated the new campus of NIAB on 12th August in Hyderabad. Dr Vardhan mentioned that he told the scientists to focus on the research that is more and more on people-centric, farmer-centric issues and ensure that we are able to fulfill the dream of the Prime Minister to double the income of farmers by 2022. “NIAB carries out research in emerging biotechnologies for improving animal health and productivity to help farmers’ increase their income. It is also working on livestock genomics to help breed conservation by identifying relatively pure breeds of animals,” tweeted the Minister later. Dr Vardhan appreciated NIAB’s outreach programme for farmers — MILAN (Meeting of Indian Livestock Farmers and Agriculturists with NIAB scientists). Making a remarkable statement, he said it should not be how many times a scientific paper is read by how many people and that it should be about how many millions would be benefited by a scientist’s work. “I am sure that we will be able to realise the dream of being the probably the third most promising nation for science in the whole world by 2030. 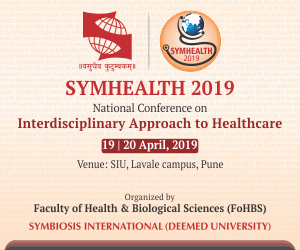 The country is sixth in terms of scientific publications all over the world and the country’s growth rate for scientific publications is 14 per cent, while the international growth rate is just about four per cent,” said the S&T Minister.